The Arizona Site Steward program was developed by Governor Bruce Babbitt and his Archaeological Advisory Commission in an attempt to support the protection of cultural sites on public lands. Starting with three regions and four partners, the program has grown to encompass the entire state and 32 local, state, federal and non-profit partners. Currently administered by Arizona State Parks, the program is supported by the Arizona State Parks Foundation – a 501(c)3. Site Stewards are volunteers dedicated to protecting and preserving cultural resources and the heritage of Arizona. 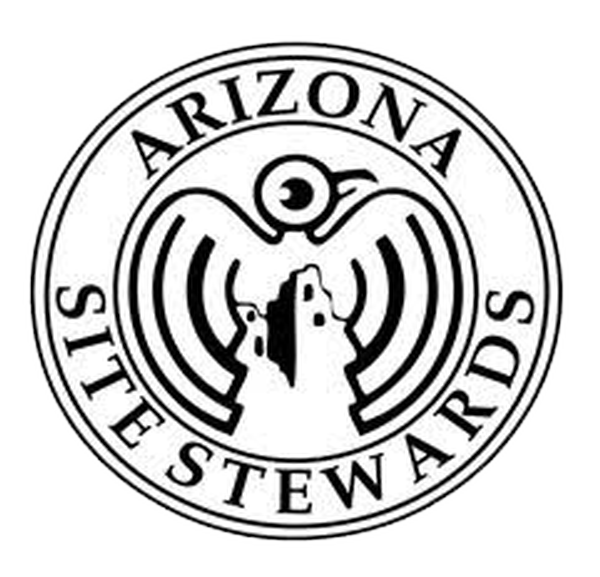 The Arizona Site Stewards Program is an organization of volunteers, sponsored by the public land managers of Arizona, whose members are selected, trained and certified by the State Historic Preservation Office and the Governor's Archaeology Advisory Commission. The chief objective of the Stewards Program is to report to the land managers destruction or vandalism of prehistoric and historic archaeological and paleontological sites in Arizona through site monitoring. Stewards are also active in public education and outreach activities. All questions concerning the Site Steward program, training, application, and recognition should be directed to Sean Hammond, Site Steward program coordinator, at (602) 542-7130. 3. To solicit funds to advance the purposes of the Arizona Site Steward Program. The Board of Directors will be comprised of no less than five, no more than 19, voting directors, and honorary non-voting members as the Board may elect. There will be two land manager representatives, two regional coordinator representatives, four site steward representatives, and one tribal representative. For more information about the Foundation and how you can help support the Arizona Site Steward Program, contact Nicole Armstrong-Best at [email protected]. Also, check out their newly built website! Read The Watch - Site Steward Quarterly Newsletter Spring 2018 and Summer 2018. A Site Steward’s primary role is to monitor archaeological, historical, and paleontological sites and report any looting/vandalism to the land manager. Site Stewards make an important contribution to preserving our cultural heritage by working closely with Federal, State, Tribal, County, and municipal agency staff and archaeologists. The Site Steward Program is designed to meet the interests and skills of the volunteers. To preserve major prehistoric, historic and paleontological resources for the purposes of conservation, scientific study, and interpretation. To increase public awareness of the significance and value of cultural resources and the damage done by vandalism. To discourage site vandalism and the sale and trade of antiquities. To support the adoption and enforcement of national, state, and local preservation laws and regulations. To support and encourage high standards of cultural resource investigation throughout the state. To promote better understanding and cooperation among agencies, organizations, and individuals concerned about the preservation of cultural resources. To enhance the completeness of the statewide archaeological and paleontological inventory. Volunteer training involves at least 10 hours of classroom instruction and field training. The training sessions include antiquity laws, crime scene management, artifact, site and feature identification, and map & GPS reading. The program seeks volunteers with strong interests in cultural resource conservation who enjoy the outdoors. Take a look at what it takes to be a Site Steward and the various challenges that face them as they try to protect Arizona's archaeologic treasures. Also, read about these Site Stewards in Action! State and Federal antiquity laws prohibit damage to archaeological and paleontological sites. Help protect Arizona's irreplaceable cultural resources by becoming a Steward of the past. To become a Site Steward, please fill out an online application at: http://www.azsitestewardprogram.com/online-application. You will be contacted shortly by a coordinator to schedule training.